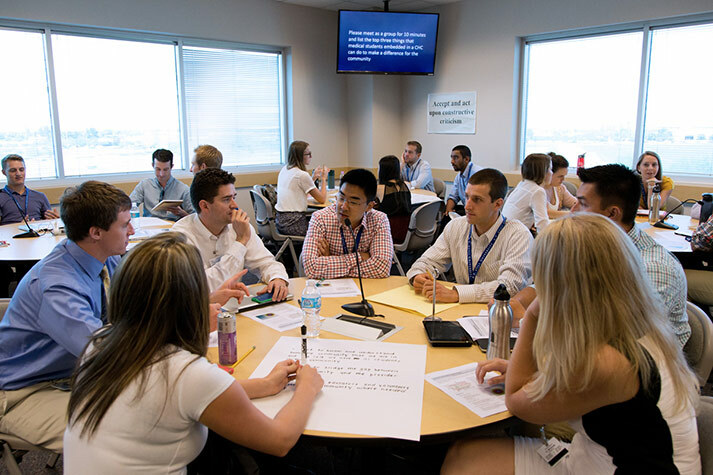 July 14 was special day for the ATSU-School of Osteopathic Medicine (ATSU-SOMA) first-year students. Prior to the white coat ceremony held on that day, the ATSU-SOMA Class of 2018 was introduced to the Virtual Community Health Center (VCHC) concept, known as Envision CHC. Frederic Schwartz, DO, ’69, FACOFP, associate dean for clinical education and chair of family and community medicine, ATSU-SOMA, provided an overview of Envision CHC to the first-year students who will be engaged with patients and families from the VCHC.